President Peter Mutharika has said government will transform Mchinji District bordering with Zambia into a municipality with complete new infrastructure once re-elected on May 21 2019. Speaking at Mchinji boma on Sunday, when he conducted a whistle stop campaign tour, Mutharika said the district will have infrastructure such as a modern market, stadium, and hotels befitting a border town. “Mchinji will have modern infrastructure and it will be developed just like the neighbouring Chipata in Zambia,” he said. The President said once re-elected into power on May 21, the Democratic Progressive Party (DPP) will continue developing the central region through provision of basic amenities such as water, hospitals and good roads. Mutharika said government will also construct a new stadium at the boma and rehabilitate Mchinji District Hospital kitchen which was gutted by fire. Speaking at Kapiri in the district, the president said government will construct a new Health centre at Kapiri and rehabilitate the Kapiri- Mkanda road. “My government will continue the Malata Subsidy program, the cash transfer program and other programs to support the vulnerable people in society,” he added. Addressing the people at Matutu and Tembwe, the President said government would construct community colleges in all the 193 constituencies in the country. The President then called on people in Mchinji to vote for DPP shadow parliamentarians Esther Majaza for Mchinji North east, Lonzoe Zimba for Mchinji East, Patricia Banda for Mchinji Central and Raymond Sakala for Mchinji South West. 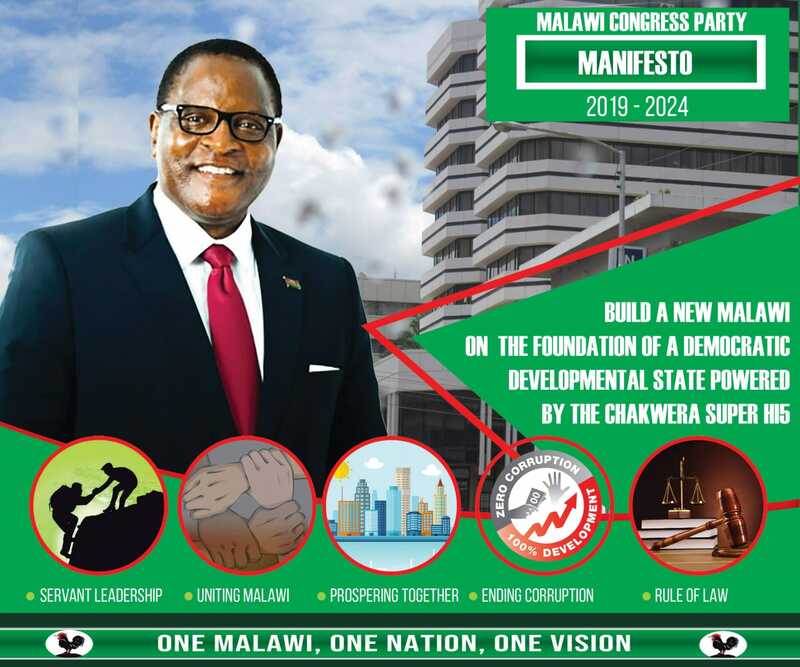 He lambasted the opposition parties for opposing everything that his government is doing, saying they have nothing to offer Malawians. DPP Secretary General Grizeldar Jeffrey said time has come for people in the district not to listen to empty promises made by opposition leaders. “DPP has fulfilled its campaign promises in 2014, and our party will do more when re-elected into power on May 21, 2019,” she said. Senior Chiefs Dambe and Mkanda pledged total support to the DPP government, saying it has developed the district through the Mchinji- Chawala Mkanda road, Mkanda rural growth centre, construction of Mchinji Teachers Training College and Malawi rural electrification program. Lies, lies, lies and more lies. Do promise new projects when you have not even started the old project you promised? Desperation and mediocrity. Time up! No point. Khweeee! Mtiiiii! Mtiiiii! Phwererereee! Mtuuu! Ambuye yambaniponi kupakira ife tatopa ndi boza la mkukuniza. Ife MA landlord tiyika tenant wina kumeneko. Go on our president, Mchinji need development, you have shown them already. Let the district change. If you need development go for DPP, but if you need politics you will remain the same. Vuka people Of Mchinji. Viva DPP. Olemba mwaiwala kunena kuti anapempha fanz kuti isamu pusitsenso ngat 2014 kubera ambiri ku msokhano koma mavoti ochepa. Analira mokwezatu a dad, mpaka kukumbuka 2014. All you know is foul language nyabinghe. Be civil and check your character, is not pleasing on social media. Democracy is full of different ideas , but has no room for your character. Go back and let you be taught how to behave., otherwise you’re pathetic. Koma Campaign, you even say things that are not even in your manifesto.